The Inspire Fitness FT1 is one of the top functional trainers/dual adjustable pulley machine on the market, allowing you to have complete freedom of movement in any direction or plane while performing weight resistance exercises. These unrestricted exercises are designed to move the way your body naturally moves. 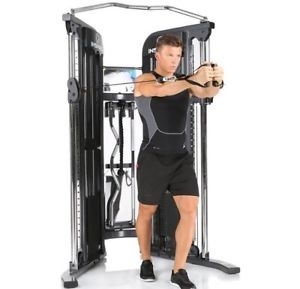 Many of the freestanding exercises incorporate core, secondary, and stabilizing muscles, giving you a more efficient workout. 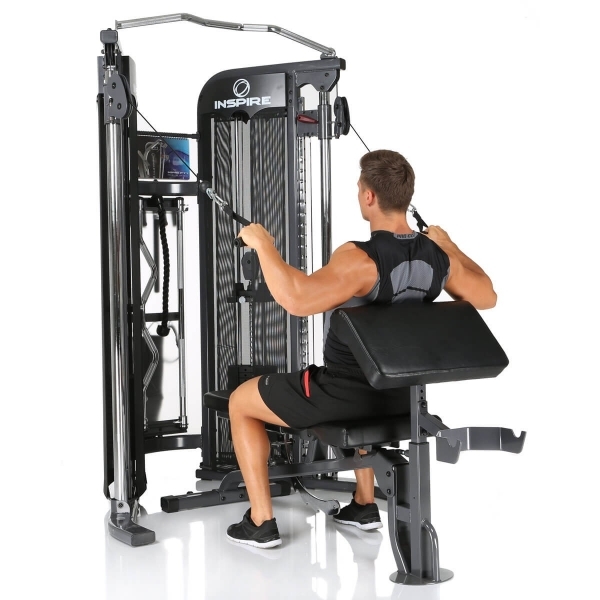 An excellent training machine for athletes interested in sport specific exercise movements or for people looking to strenghten their overall bodies, increase stamina and coordination or lose weight. 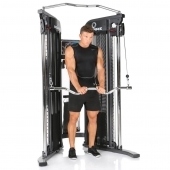 2 x 165lb Commercial Weight Stacks with Solid Guide Rods and Center Drilled Weight Plates. 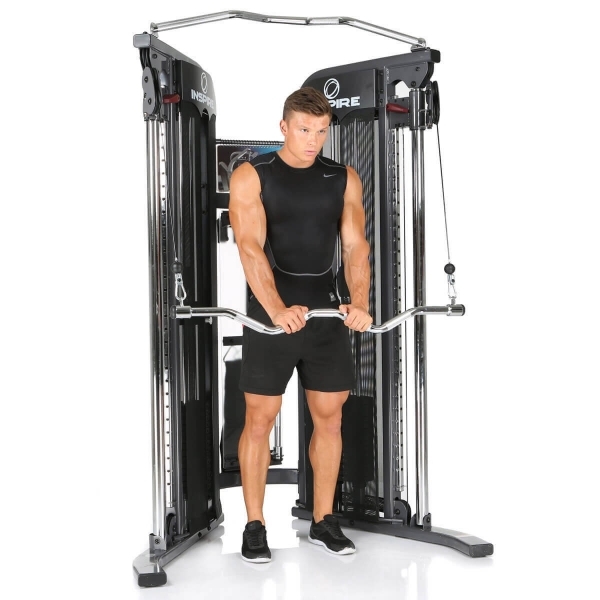 The quick, one-handed adjustable high/low pulley system adjusts to more than thirty height positions for all of your exercise needs.